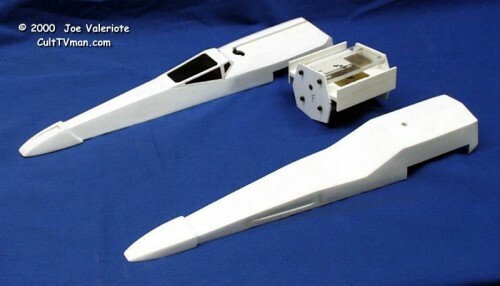 The first photo shows the main fuselage, which is made from styrene that I vacuformed over a two piece mould carved out of MDF board. The canopy is a separate piece made from Plexiglas that I tinted with car window tint. Also shown is the wing mechanism ( in the closed position ), which fits inside the fuselage. This will have the ability to stay open or stay closed. 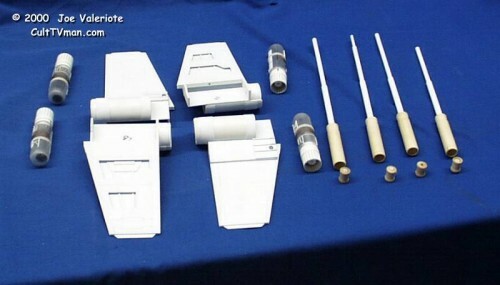 The second photo shows the parts that make up the wings, engines and laser guns. 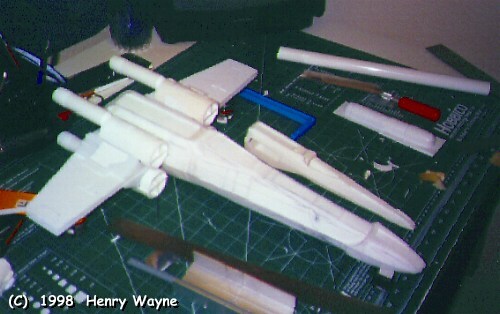 The wings are made out of styrene with the plate lines scribed into them. 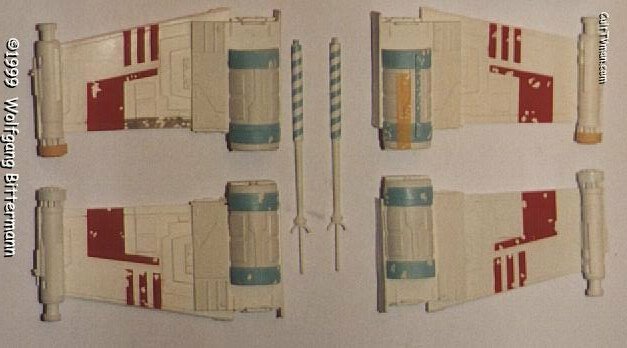 The engines are made from Plexiglas tube, copper wire and styrene. Currently I’m working on the laser guns which are partly made from birch dowel that I shaped on a milling machine. There is still alot of detail work to do plus the cockpit and R2.